From June you will be able to subscribe to a range of Foxtel channels for viewing on smartphones, tablets and PC and Mac computers without the need for a traditional home installation. 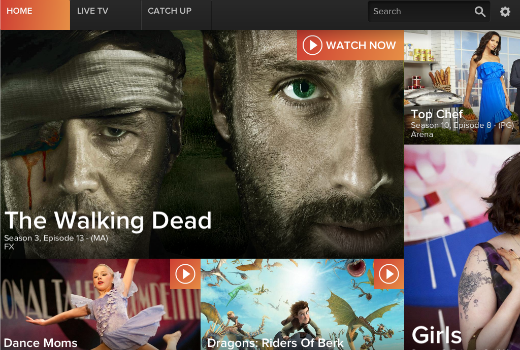 Currently the Foxtel Go app is available as a free add-on to home subscribers. But potentially opening up to entire new customer markets, the new offering expands the range of products that have been available through Xbox, T-box and Samsung connected TVs. The announcement by Richard Freudenstein at the ASTRA Conference today could break the wall of those who have hesitated to have Foxtel installed, or been unable to. To be known as a ‘Foxtel Play’ subscription, the new offering comes with over 40 channels, no lock in contracts and a range of genre based channel packages starting from $25 per month via the Foxtel Go app. “Foxtel Play develops our “off the box” internet TV products by expanding on the existing Foxtel on Xbox 360 and Foxtel on Internet TV services to provide one Foxtel internet TV offering across multiple devices. From launch Foxtel Play customers will be enabled to receive the revolutionary Foxtel Go, included with their subscription, on their compatible PCs, Macs, iOS and selected android smartphones and tablets showing their entitled channels based on the channels they subscribe to on the Foxtel Play service. Foxtel Play and Foxtel Go will be available over 3G/4G networks as well as WiFi. Recommended Internet speeds apply. Internet connection required to view Foxtel Play and Foxtel Go. ISP and data charges may apply. Video quality may vary according to 3G/4G and WiFi service. Only available for use in Australia. Foxtel and some services not available to all homes. Further information including channels and pricing and packaging will be announced closer to launch. Still not good enough, cheap enough, or flexible enough. The alternatives are still light years ahead. Keep trying. Foxtel. Now that Sky Go has an Android App, there is no excuse for Foxtel Go not to introduce their Android App before this month is out. It is now 4 months since the IOS App was released! The only reason for a delay from my perspective is a ‘sweet heart’ understanding with Apple to delay the Android App as long as possible. So the one time I thought this would be good for, while on holiday overseas… It’s blocked. The reason there’s no Android app is because the Android API’s for live video streaming are completely munted and fragmented across not only Android versions, but Android device vendors. That’s why the Olympics app was certified for certain Samsung tablets. That’s why the BBC iPlayer and the ABC iView and countless others don’t have Android apps. The HLS API’s have been built into iOS since version 3, and are quite stable, hence why these types of apps are always iOS first. I’m not associated with Foxtel in any way by the way. Argh, I read the first para and got all excited. Then I saw that they’re only offering “packages” and they’d start at $25/m. No thanks, I’m not paying for 90% that I don’t want. Ditto re their piss-poor servicing of the Android market. I know it’s somewhat fragmented but it’s much larger than iOS. So, a small step in the right direction but we have some way to go yet. Get back to me when I can purchase access to individual programs or, possibly, single channels. I wish with these they would offer things like an AFL Seasons Pass or at least the Sports Package as a stand alone, with my X-Box you have to buy the Basic Package, then the Sports Package (includes AFL). If that happened I would gladly buy it, I have no interest in watching anything else, so I decided not to go with it at all as I cannot justify the extra 19:95 cost (around a grand a year) and I bet there are others doing the same. Alas, that is too late for me to watch Game of Thrones this year. 🙁 Unless for some reason they have all the episodes on catch up so I can watch upon launch. I’ll give it a go next year though, though I’d only subscribe for April-June, then I’d cancel – which is probably what most people would do. They’ll be able to tap into the market of people who only want to watch 1/2 shows per year on Foxtel, which could help the downloading issue many networks are facing. It’s probably later versions of android. Foxtel just announced on their Facebook page that Foxtel Go will be available for Samsung Android devices in June. Yes this is clear it will be avail on selected androids by June in the copy above. Was optimistic it might be earlier. Without support for unmetered viewing (a bigpond tie-in? are foxtel and telstra friends??) this will chew through way too much data across a months worth of viewing. I trying the foxtel/austar catch up website the other day on my new iMac with a decent 7-8Mbit ADSL and it was so choppy it was unwatchable. Why can iView got this kind of service working but other still struggle? Sort out there channels, programming and pricing before launching something else. Heading in the right direction for sure, but the iPad app desperately needs full AirPlay video support to be a real contender, not just audio. It is good to see Foxtel embracing change, by offering the service on a number of different platforms that do not require a traditional Foxtel subscription. I am still waiting for the PC and Mac apps to be released, as well as a few additional channels for the Foxtel Go service.